Hyundai has announced plans to introduce new ‘digital key’ technology on its future models. This digital key would make it possible for motorists to unlock and start their car using just their smartphones. Hyundai will start offering the new technology on selected models from 2019. 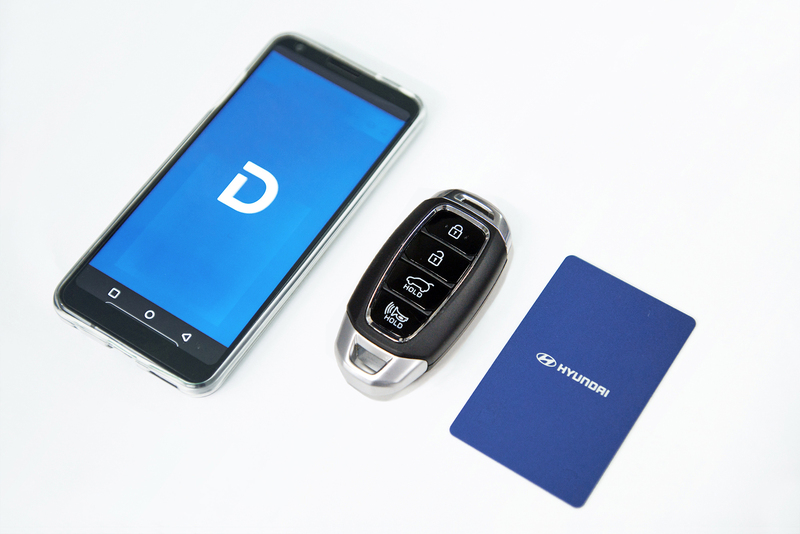 Users will be able to download the digital key as an app, and for each car up to four authorized devices will be allowed, making car sharing very simple. The technology leverages highly secure near field communication (NFC) technology, and the antennas would be fitted in the front door handles and in a wireless charging pad which would be inside the car. Users can unlock the car when an authorized smartphone is brought close to the door, and then start the car by placing the phone on the charging pad and pressing a start/stop button. The vehicle will also have the capability to recognize each user’s preferred settings, like the position of mirrors, seats and the steering wheel, in addition to the controls for the audio, video and navigation systems, and the head-up display and adjust them accordingly, to make the driving experience more comfortable and enjoyable. Commenting on the new technology, Mike Song, Hyundai’s Head of Operations for the Middle East and Africa said that it is a practical application of Hyundai’s connected vehicle technology which is being developed to create functions that are innovative and genuinely useful for motorists. People will not only be able to use their smartphone instead of a key but they will also be able to authorize other drivers to use their vehicle by just sharing the app. There will be no more need to keep tabs on multiple sets of car keys. The motorist has the option of limiting the functions when sharing the car and can do so for each digital key. This could be done through placing a time-limit for when the key will expire for a teenage driver or setting an alert to warn the owner if the car is being driven over a certain speed or is outside a designated area. The new technology in addition to making life more convenient for drivers also highlights the shifting nature of mobility and car ownership, like the increasing popularity of car-sharing and ride-sharing schemes. Once car-sharing becomes more common, the digital key can be programmed further to facilitate vehicle rental services, so that the owner and driver can share a key conveniently as it eliminates the need to meet in person. Hyundai would still provide conventional or card-type keys for those occasions when it would be impractical to share the digital key, like handing the vehicle over for valet parking or when taking in the vehicle for service or repair. NFC is a type of Radio Frequency Identification that comes with high levels of security, and data transmission occurs only when the device and reader are only a few centimeters apart. It is the technology that is used for making contactless payments through a smartphone. “The Digital Key will benefit a very wide range of future Hyundai customers, as well as enabling innovative new schemes for vehicle sharing,” said Ho Yoo, Group Leader of Hyundai Motor Group’s Electronics Development Group. He said that Hyundai is exploring other ways that this kind of connected-car technology could be used to enhance the driving and ownership experience. Hyundai also has ambitious plans to become the first automotive company to introduce smart fingerprint technology. The technology is to be used to make it possible for motorists to unlock and start their vehicles. Hyundai had announced late in 2018 that fingerprint technology will be launched in selected markets on the New-generation Santa Fe that will become available at the retail level during the first quarter of 2019.